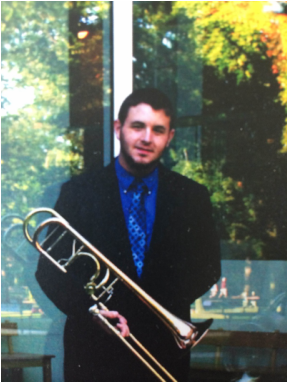 Jerry Umholtz is the new trombone graduate teaching assistant at Ohio University. He received a B.S Music Education Degree from Indiana University of Pennsylvania (IUP) in 2014, where he studied trombone with Christian Dickinson. During his time at IUP, he was active in the majority of the performing ensembles, and was principal trombonist of the University Wind Ensemble prior to completing his student teaching. He was also principal trombonist of the University Orchestra on another occasion, and performed in the pit orchestra for three theater productions. Jerry is from Valley View, Pennsylvania, and when time allows, he performs with local bands in various communities throughout northeastern Pennsylvania. With one of these bands, he performs in the annual Celebrate Israel Parade in New York City. Garrett Birk is a sophomore student working to get his undergraduate degree in Music Education with an Instrumental Emphasis. Garrett was born in Cape Girardeau, MO, grew up in Ann Arbor, MI and graduated from Ann Arbor Skyline High School. 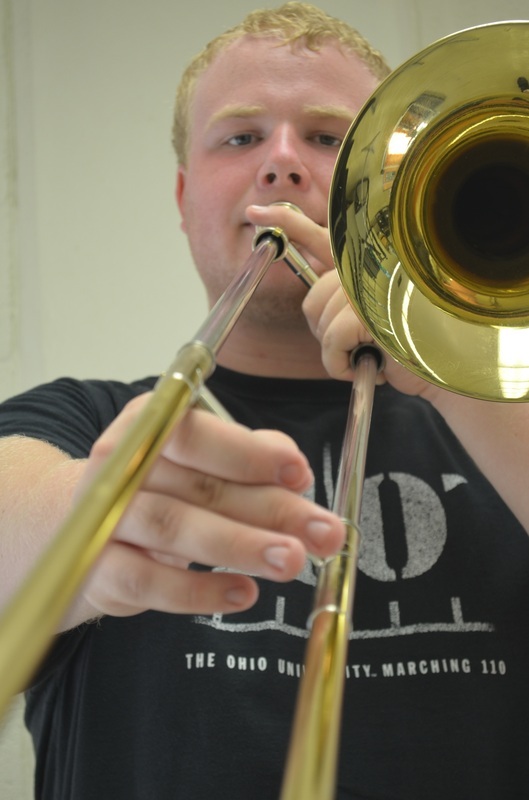 Garrett studied classical trombone privately with Jonathan Holtfreter throughout high school. In high school, Garrett participated in many ensembles at Skyline High School, including Marching Band, Symphony Band, Symphony Orchestra, Pit Orchestra and Winter Drumline. 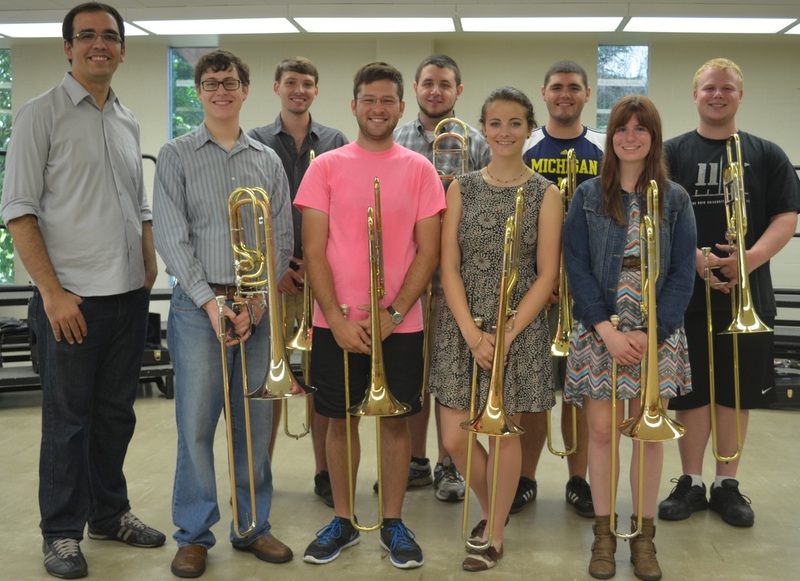 Outside of Skyline, Garrett participated in the University of Michigan Youth Concert Band, and the Ann Arbor Trombone Choir, directed by Jonathan Holtfreter. At Ohio University, Garrett is members of the Ohio University Marching 110, Symphonic Band and Trombone Choir. 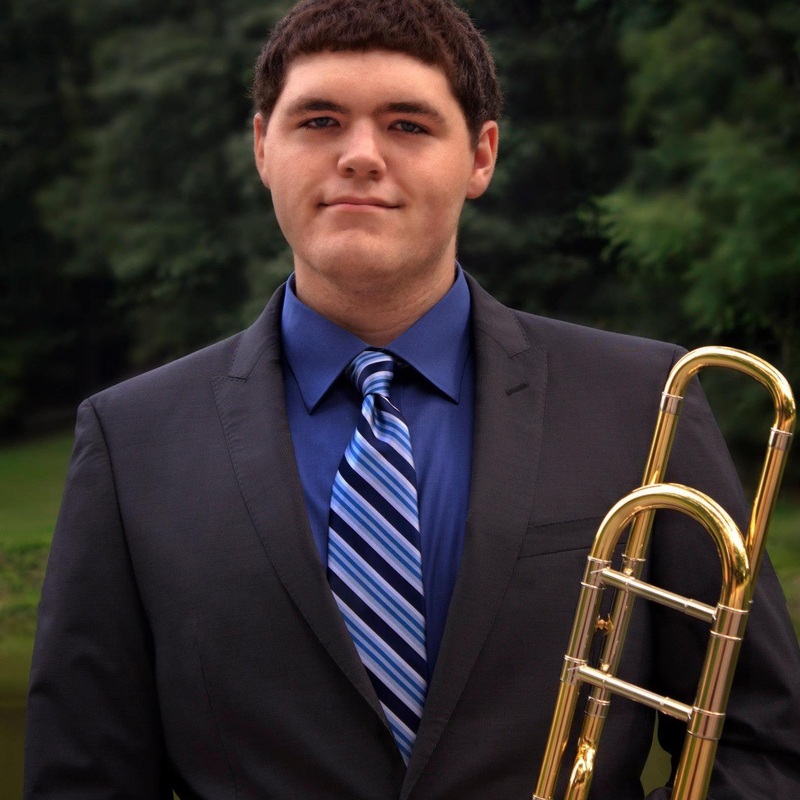 Dylan Chase is an undergraduate student at The Ohio University, currently working towards his Bachelor of Fine Arts in both Music Education and Trombone Performance. He graduated from Wayne high School in Huber Heights, Ohio in 2012. Dylan has been very fortunate in his college career with the opportunity to perform in many ensembles, these include: The Ohio University Symphonic Band, Wind Symphony, Symphony Orchestra, Trombone Choir, Jazz Ensemble II, Jazz Ensemble I, Choral Union, and The Marching 110. He also enjoys performing in various chamber groups including various Trombone Quartets and is a member of the brass quintet: Brick City Brass. In 2014, He was selected to be a member of the Kappa Kappa Psi and Tau Beta Sigma North Central District Intercollegiate Band. In 2013, Dylan performed internationally with the Ohio University Wind Symphony, and The Marching 110 in Dublin, Ireland and Rome, Italy. While in Rome he guest performed with the Sapienza University of Rome Musica Sapienza Orchestra. Along with performing Dylan has had many experiences teaching. He has been the low brass clinician at Tri-Valley High School, Fredericktown High School, and Wayne High School. He is also a member of several organizations such as the National Honorary Band Fraternity Kappa Kappa Psi, the National Association for Music Education, and the Boy Scouts of America where he earned his Eagle Scout. He is also in many leadership positions including The Marching 110 Trombone Music Section Leader, The Vice-President of Service and Fundraising for Kappa Kappa Psi, and is the student representative for The Marching 110 with the Ohio University Alumni Association. In the Spring of 2013, I crossed the Atlantic with the Marching 110 and​ the ​Wind Symphony to hold public performances in ​Dublin​,​Rome​, and Vatican City. ​I hold an active membership in ​NAfME as well as ​the CNAfME chapter at O​hio University​.​ I have ​also ​attended the OMEA Professional Development Conference for the past two years. I ​hold a Microsoft Digital Literacy Certification, having completed a two-year career/technical ​program​ in Computer Information Systems at the Central Ohio Technical College in Newark, Ohio. 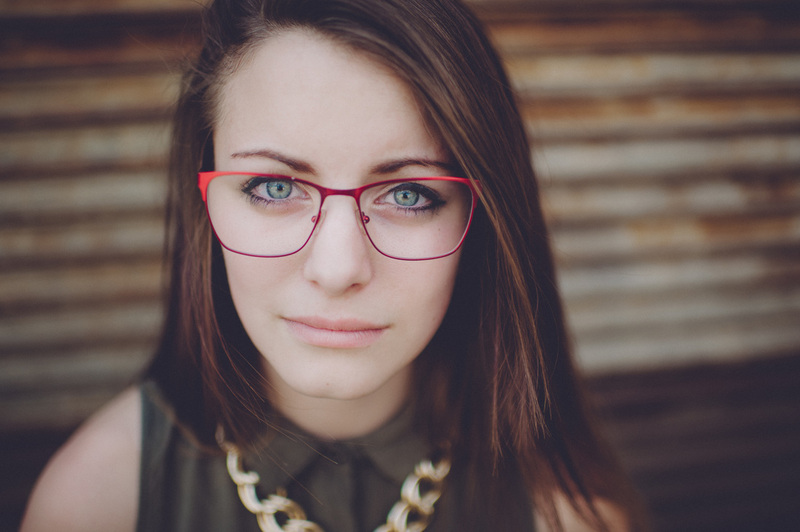 There I gained experience in computer repair, networking, software and web development, graphic design, video and audio engineering, and interactive media.​ In my free time, I enjoy hiking, cooking, photography, and friends. Hi, my name is Ian Elick. 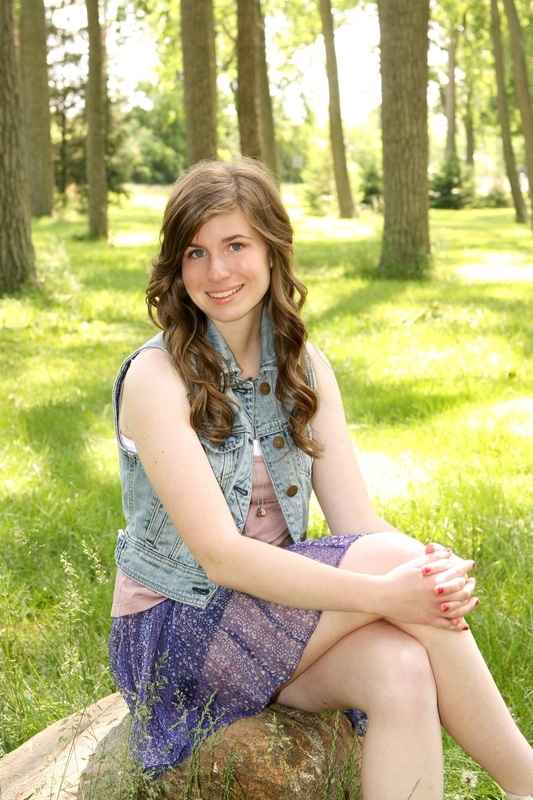 I am a Sophomore Music Education Major from Lancaster, Ohio. I went to Lancaster High School and participated in the wind ensemble, Jazz band, symphonic band, concert band, basketball band, marching band, and holiday brass ensemble. I also participated in the Ohio University Honor Band, Bowling Green State University Honor Band, Ohio Wesleyan University Honor Band, Fairfield County All-County Honor Band, and Newark Youth Symphony. Here, at Ohio University, I have played in the Ohio University Symphonic Band, Trombone Choir, Jazz Ensemble 1 and 2, Varsity Band, Marching 110, and Jazz Combo 2. Jazz is my overall favorite type of music to play, but I still really enjoy playing classical. 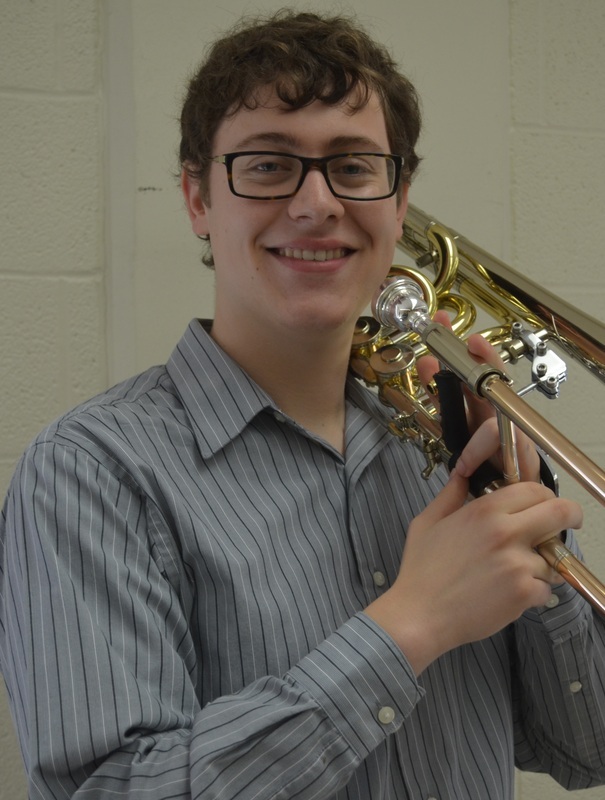 Erich Haller is a graduate of Warren High School in Vincent, OH and is pursuing his Bachelor of Fine Arts Degree in Bass Trombone Performance at Ohio University. Raised in the town of Little Hocking, Ohio, he was actually born in Brisbane, Australia. 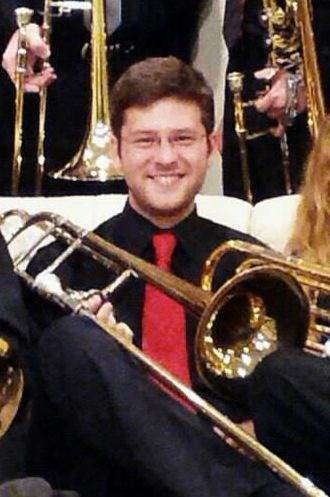 In the past Erich has studied bass trombone under the guidance of Courtney Clark, Nick Weckman, and Sarah Paradis. As a performer, he has participated in various groups in his hometown area and at Ohio University. In addition to the study of music, Erich is an avid painter, lover of poetry, and enjoys camping. My name is Halle Seymour. I'm an undergraduate student at Ohio University working towards a Bachelor's degree in Music Education. My primary instrument is trombone, which I have studied for eight years, and my secondary instrument is piano, which I have studied for twelve years. I'm a graduate of Bellevue High School in Bellevue, OH. In high school, I was a member of several ensembles including the Marching Band, Wind Ensemble, Pep Band, Jazz Band, and Symphonic Choir. As a pianist, I studied Suzuki Method privately with Val Bressler, and have performed in numerous piano recitals and competitions. At Ohio University, I am a member of the Marching 110, Symphonic Band, and Trombone Choir. Besides music, I enjoy theatre, biking, swimming, adventurous activities (zip lining, white-water rafting, etc. ), and traveling. My name is Kelly Whybrew. I have been playing trombone for 9 years. I have been in many bands, honor bands, symphonies, orchestras, and musicals. I attend Ohio University and am majoring in Music Therapy with a minor in Sign Language. My hobbies are mainly music, art, and being outdoors. I'm very lucky to be a part of Ohio University's School of Music.